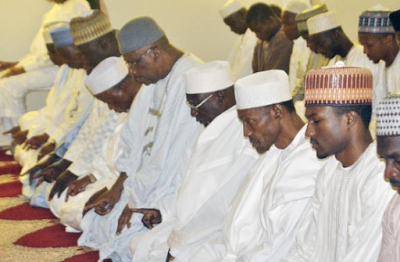 "President Muhammadu Buhari participated in today’s Juma’at prayer at the Presidential Villa Mosque. President Buhari did so out of consideration for avoidable hardships imposed on members of the public by road closures and other security measures which Presidential movements to the National Mosque necessitate. Accordingly, the President has decided that henceforth he will mostly observe the Juma’at prayers with other Muslims at the Presidential Villa Mosque. President Buhari will still join the larger Muslim Community for Friday prayers at the National Mosque and other mosques in Abuja occasionally" the statement in part read.